The Defense Secretary may not like Medal of Honor, but the UK government doesn't want you to think that that is its official policy. 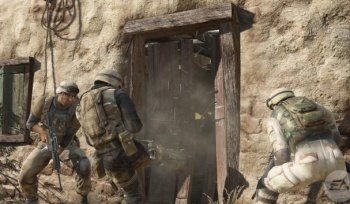 British defense secretary Liam Fox didn't make himself many friends among gamers yesterday when he called Medal of Honor "disgusting" and "un-British" for allowing players to take on the role of the Taliban in the game's multiplayer. But the Department for Culture, Media and Sport said that it was just Fox's personal view and should not be considered an official government position. A DCMS spokesperson said that it could understand why Fox might be upset - as any reasonable person could - but that the UK had a rating system exactly for this purpose, and the game had been classified as being only suitable for adults. The spokesperson said that the choice as to whether to buy the game or not would rest with the consumer, not with the retailer, as Fox wanted. It's not hard to see why the game would upset people; this won't be the last heat Medal of Honor takes before its release, and it's not going to just go away when the game comes out. It's heartening, however, to see that the government's position is that adults should be allowed to choose for themselves. Medal of Honor is scheduled for release on October 12th.